Interested in learning about our recovery services or a membership? 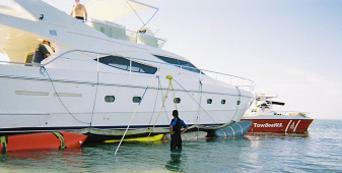 "We received exceptional service from the operator of BoatUS of Big Pine Key. He went above and beyond our expectations." If you’re looking for high quality, reliable and personal towing service, you have come to the right place. We are available 24 hours a day, 365 days a year for on the water assistance. At TowBoatUS Big Pine/Cudjoe Key we’ll give you the attention and personal service you deserve for towing your boat.